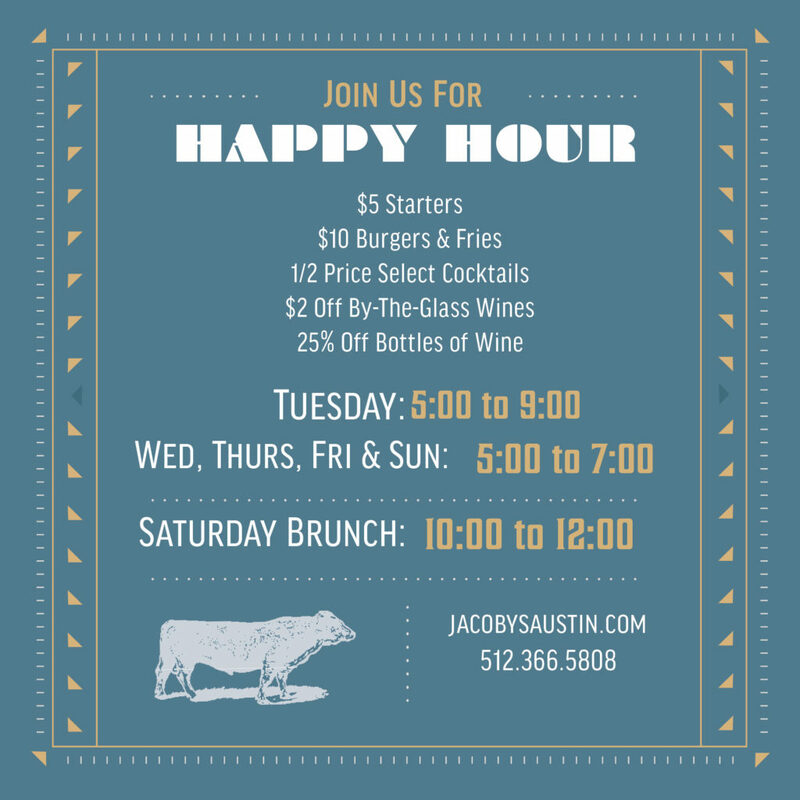 Jacoby's Restaurant & Mercantile New Year, New Happy Hour! New Year, New Happy Hour! Please join us for our New 2019 Happy Hour! The $10 Burger is BACK!